With a simple click of a mouse, you can help us help grow the Miami startup scene, create new jobs, and grow the economy. 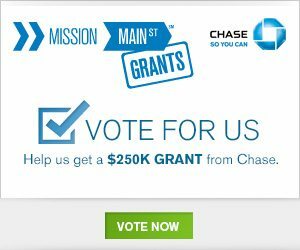 We have applied to the Chase Mission Main Street Grant program. 12 companies will be given a $250,000 grant to help grow their business, but we aren’t going to just use the funds to grow our business, we are going to pledge half the funds for investments in local startups and our soon to be launched Miami Startup, Digital Marketing, and Coding School. Our company – Captiva Companies is growing rapidly and we are already helping 3 startups get going, while mentoring several others on a regular basis. These funds will allow us to invest money and time in deserving companies, while continuing to grow our fast growing firm. Please help us help Miami and take our company to another level – Click here to vote now. It’s quick and simple.